peace symbols taken to school by young activist Lenny Harriott. International Peace Day and Jeremy Gilley. the biggest call to peace to world has ever seen. Lenny is a wonderful advocate for Peace One Day. 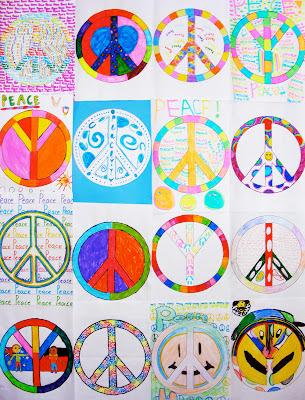 the activity and lead up to International Peace Day 2012.